We've had a lot of good times together, too many to count. Although I love you dearly, I feel that it's time we start seeing other people. It's not you, it's me. I'll miss you on Cinco de Mayo. I'll be in Italy. We decided to help Avocado out and try it Italian style as a pesto sauce. There were rave reviews all around! 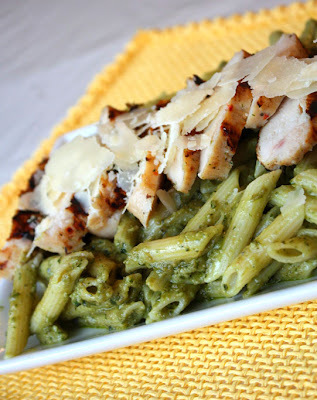 Gourmet Dad liked it better than traditional pesto! 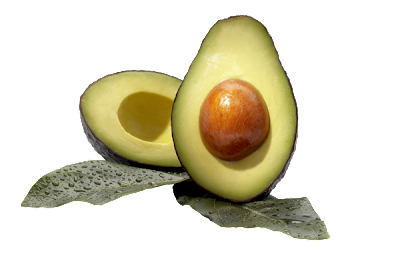 The avocado brings a creaminess and delicious flavor to the sauce and also adds almost 20 extra nutrients. Bravo! Cook and drain pasta according to package directions. While pasta is cooking, season chicken with salt and pepper and place on a grill (or grill pan) over medium-high heat for 6 minutes on each side, until center is no longer pink. You can add other spices if you want, but don't over-season your chicken, we want the avocado to shine! Peel avocado and remove pit. Put avocado, basil, salt, pepper, garlic and pine nuts in a blender or food processor. Turn blender on and add olive oil in a slow, steady stream. Process until mixture becomes a smooth paste. Gently fold in parmesan cheese. Toss with cooked pasta. 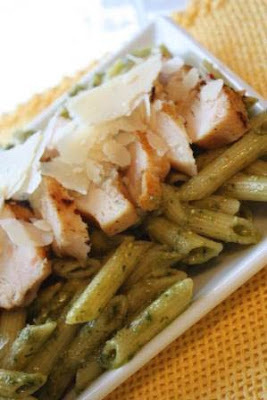 Slice grilled chicken breasts and lay across top of pasta. 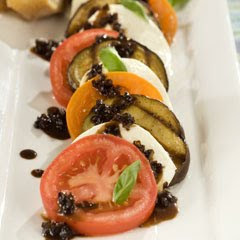 Garnish with shaved parmesan cheese and serve. 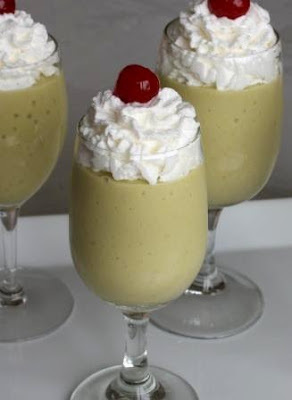 I created this recipe for the Adaptable Avocado Recipe Challenge. You can go here to join in on the fun! So, why avocados? Avocados provide nearly 20 essential nutrients, including fiber, potassium, Vitamin E, B-vitamins and folic acid! They also act as a "nutrient booster" by enabling the body to absorb more fat-soluble nutrients in foods that are eaten with the fruit. Some people shy away from them because they contain fat but it's actually monounsaturated fat--the good kind that supports healthy brain function. They're great for everyone in the family! Place all ingredients except sugar in blender and process 2 minutes until well blended. Add sugar, to taste. 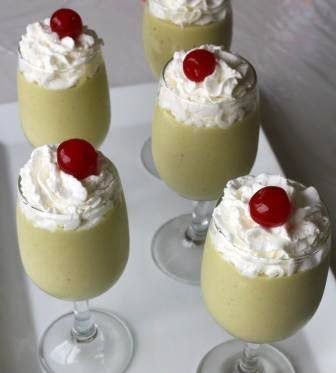 Pour in glasses, garnish with whipped cream, cherries, little umbrellas, pineapple, whatever you want! Enjoy! Disclosure: I was given the avocado basket to help get the word out about the benefits of avocados in families' diets. I was not compensated in any way for this post. 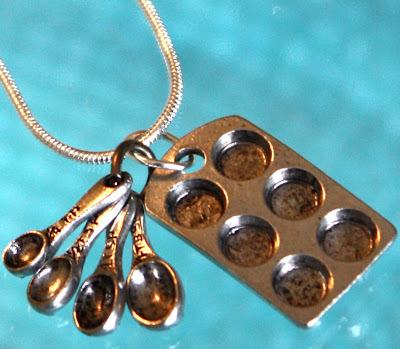 We have winners for adorable Muffin Tin Baking Necklace! "I thought of the candy nerds and eating them in it, not sure why but it was my 1st thought"
Send me an email with your address within 3 days and we'll get your prize out to you! 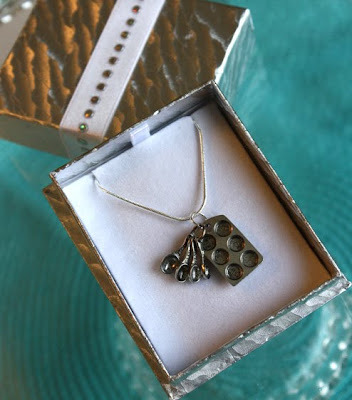 If any of you were really wanting a necklace, drop the hint to your hubby for Mothers Day! 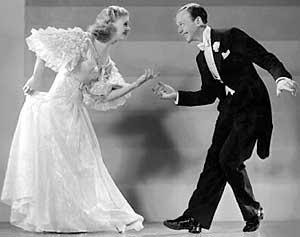 15 years ago yesterday, Ginger Rogers passed away. She was one talented lady and I love all the musicals she did with Fred Astaire! They were the perfect pair! 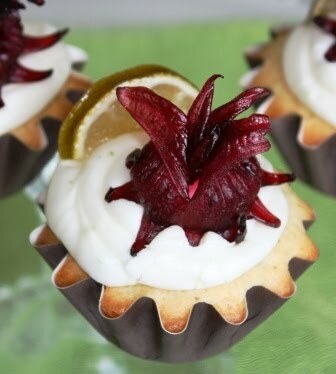 These are a buttery candied ginger cupcake with lime icing. It's the perfect pair! But do you know what really holds this relationship together? Preaheat oven to 350 degrees. Finely chop the candied ginger. In large mixing bowl, cream butter and sugar. Add eggs and vanilla, mixing well. Add baking powder. Add one cup flour and mix. Add 1/3 cup milk and mix. Repeat with additional 2 cups flour and 2/3 c. milk, alternating between them and beating after each addition. Add lime zest and ginger. Stir to combine. Spoon into cupcake wrappers or greased muffin pan and bake at 350 degrees F for 20-24 minutes. Remove from oven and cool completely. For icing, cream butter and cream cheese together in medium mixing bowl. Add lime juice and zest. Add powdered sugar, one cup at a time, and beat until light and fluffy. When cupcakes are cooled, spoon icing into large ziplog bag and snip off one end (or you can use a pastry bag with no tip on it). Pipe icing onto cupcake in a circular motion. Add a slice of candied lime (Martha's recipe). The finishing touch is a candied hibiscus flower. I found these at Trader Joes last week (in the dried fruit/nut section) for $1.99 per large bag. I was so excited! They add just the right touch of elegance to this graceful pairing and I think Ginger would have liked them. Enjoy! Notes: the fluted cupcake wrappers are from Fancy Flours. 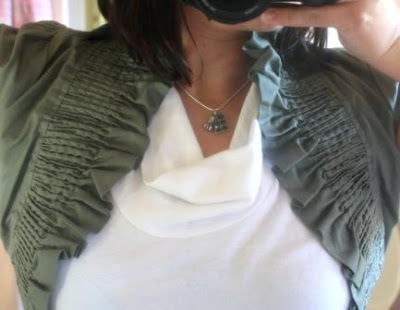 (For you fellow "cheap fashionistas" who inquired, I got the ruffled crop jacket this week at TJ Maxx for $12, tag says Last Kiss.) You know, I don't think I can wait until the end of the cookoff to share these! How about we give two away right now! 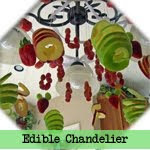 -Tweet "Win an adorable Cupcake Baking Necklace for your favorite foodie! 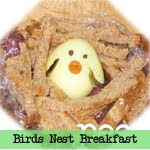 http://ow.ly/1BZz3"
-facebooking or giving a shout-out on your blog. Leave an extra comment for each. I'll pick two random winners on April 29th. Open to US Residents. Want a necklace for your favorite chef? Or, if you're my mom, you get all you want for free. Love you, mom! The surprise? There's actually a cheesecake layer beneath the apple pie filling! How cute would these be as end-of-the-year Teacher gifts? We used half pint jars but you could use ramekins or whatever else you want. 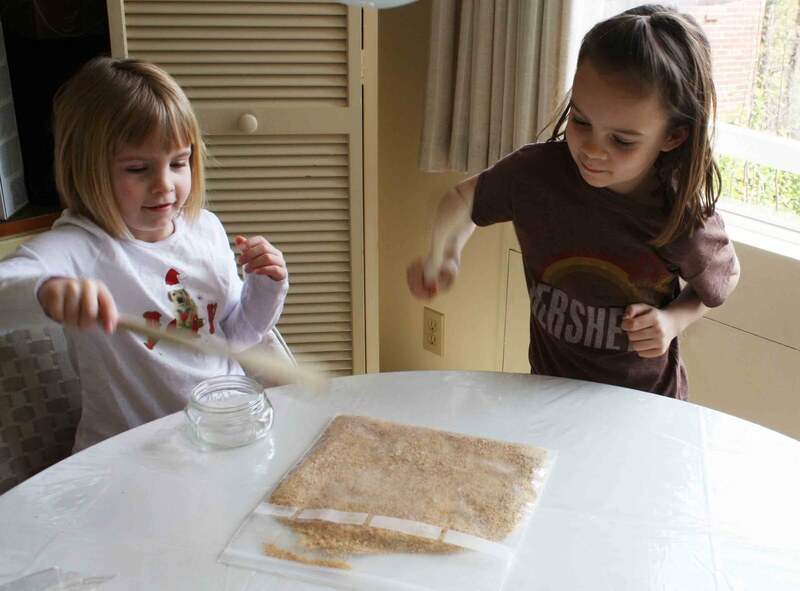 Place graham crackers in ziploc bag and crush. I think this was the kids' favorite part. Wham! Wham! Wham! Pour melted butter into baggie with graham crackers and shake to mix well. 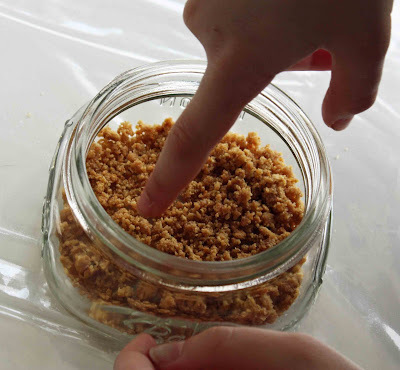 Place 2 heaping tablespoons of graham cracker mixture into bottom of a half pint jar and carefully spread around. For cheesecake layer, beat cream cheese and sweetened condensed milk until smooth. Add sugar, eggs, vanilla, and lemon juice and mix well. Place 1/3 c. of cream cheese mixture into each jar. Fill jars to the top with apple pie filling (about 1/2 C). Unroll pie crust. Find a drinking glass or round cookie cutter that is about 1/2" larger than your jar lid and cut out 4 circles. Re-roll remaing dough and cut out 2 more circles. Repeat with other pie crust. If desired, cut small slits or a little shape in the middle of your crust. 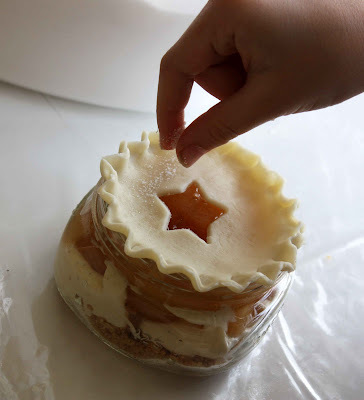 Place one cutout crust on each jar and pinch edges to resemble a pie crust. Finish with a light dusting of white sugar. Place on a cookie sheet (just in case any of them leak, you don't want to clean that out of your oven!) and bake at 350 degrees for 35-40 minutes until pie crusts are browned. I came back in the kitchen to find these two little bakers waiting veeeeeery patiently for their pies to come out of the oven... Remove from oven. Tie a small ribbon around each jar, if desired, and serve. 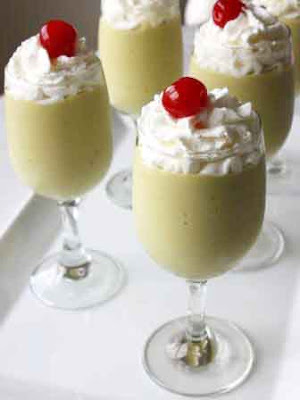 I can't wait to make these for our next sit-down dinner, they'd be adorable served to each guest for dessert! I Can't Believe it's my Fridge! Who needs a fridge makeover and $100? Last week we took EVERYTHING out of our fridge and really cleaned it out (I won't scare you with a picture or details). I realized that a big part of healthy eating is keeping your fridge organized and stocked with good-for-you products. "I Can't Believe That's my Fridge!" I didn't have any help cleaning out my fridge, but I Can't Believe it's Not Butter! is going to give one of you lucky folks a $100 Grocery Gift Card, Reach Right Kit, and a disposable camera to document the transformation. "Why do I need a fridge makeover? Okay, I've never been the best at keeping things spotless and the fridge cleaned out, but one time in college I was living with four other girls. The black sludge dripping down the side of the fridge was a bit of a hint it might be time to clean the fridge inside and out..."
Grilled Eggplant Caprese Salad from I Can't Believe it's Not Butter! Microwave 3 tablespoons I Can't Believe It's Not Butter!® Mediterranean Blend spread in small microwave-safe bowl at HIGH 30 seconds or until melted. Evenly brush onto both sides of eggplant slices. Grill or broil, turning frequently, until tender; cool. Meanwhile, bring vinegar, onion and garlic to a boil in 1-quart saucepan over medium-high heat. Reduce heat to medium-low and simmer, stirring occasionally, 15 minutes or until liquid is reduced by half. Stir in sugar until dissolved. Cool slightly, then stir in remaining 1 tablespoon Mediterranean Blend. Cool to room temperature. In May, we will be having a Lip Smackin' Healthy Food Cookoff where you can enter your very best grilling recipe! And the grand prize winner will get....you guessed it, a beautiful new grill! Yowza! We also have some amazing prize packs put together for the other two "runners-up" and I even snagged a celebrity chef for my judging panel! So, fire up those grills and start practicing while we fine-tune the details. 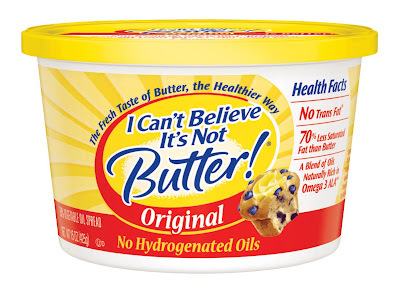 Disclosure: I Can't Believe it's Not Butter! provided the $100 Grocery Gift Card, Reach Right Kit, and a disposable camera for this contest. I was not compensated in any way for this post. and the kids loved them! The cards I made up are here for you to print. 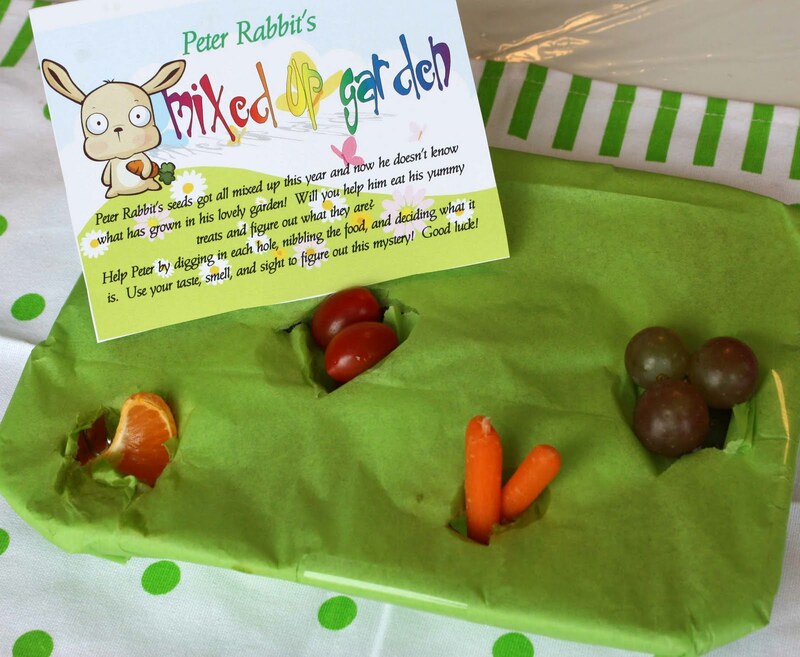 "Peter Rabbit’s seeds got all mixed up this year and now he doesn’t know what has grown in his lovely garden! Will you help him eat his yummy treats and figure out what they are? Help Peter by digging in each hole, nibbling the food, and deciding what it is. Use your taste, smell, and sight to figure out this mystery! Good luck!" 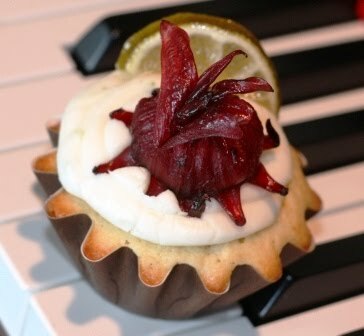 Fill cupcake or mini-muffin tins with various fruits and veggies. Cover with a sheet of tissue paper and tape down to secure. Two layers of tissue works best (just fold a piece in half) so no one can peek! :) Print the Peter Rabbit's Mixed-Up Garden cards, fold in half, and place with the muffin tin. Let the kids "dig" and discover what yummy treats are in the "garden"! At the end of this week I should be posting the details on how you can enter the Lip Smackin' Healthy Food Cookoff! We have some great prizes and I can't wait to get started! Are you out of the easter egg/chocolate bunny/jelly bean coma yet? Well, dust off those veggies because we're focusing on getting healthy for the rest of April and May! I had a great conversation with Mitzi Dulan the other day about incorporating more fiber into your family's diet. We both agreed that one of the best ways to do that is to eat more whole grain and fruits/vegetables. In fact, if you try to fill your plate half full with fruits/veggies, a fourth full of whole grains, and a forth of lean protein, you are right on track! So, the girls and I created these plates and they LOVE them! They can see for themselves how to fill their plates and they've had so much finding new ways to do it. - A small white salad plate (we got ours in a set at Fred Meyer for under a dollar each. You could also check your local dollar store). You could also use big plates, but this size is a little better for the kids. -Porcelain Paint Pens. We used the Pebeo brand and they were very easy to use--no smudging or blobs of paint, two thumbs up from us! Check your local art supply store or you can order online here. 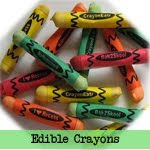 They are non-toxic and will be dishwasher/microwave safe once baked. Make sure plate is clean and dry. Draw dots around the entire edge of plate, then divide in half with dots. Divide one of your halves in half again with dots. Label each appropriately and draw little "examples" of each section (the kids loved this part!). Let dry for 24 hours then bake in a 300 degree F oven for 25 minutes. Once baked, the plates are microwave and dishwasher safe. Now, just for fun...To get the most out of our Porcelain Pen investment, we also made some large plates to send them to Grandma and Grandpa for Mothers/Fathers day. I think they'd also be a great end-of-the-year Teacher gift written with things the kids liked about their teacher or something they learned that year. The possibilities are endless! Have fun! I finished 5 of my video entries for Paula Deen's Real Women of Philadelphia Cookoff! I uploaded them to YouTube and put links on the upper RH side of this page if you want to check them out. I'd love to hear your feedback, am I too over-the-top? I can't help but get excited in the kitchen. There's also still lots of time for you to join in on the fun! 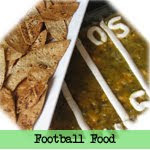 Go here to participate, get great recipe ideas, or just cheer everyone on. Preheat oven to 425 degrees. Peel potatoes and cut in half lengthwise. Place on a baking sheet drizzled with olive oil or cooking spray. Sprinkle just barely with salt and pepper. Cook at 425 degrees for 25 minutes or until potatoes are done. Remove from oven and let sit until cool enough to handle. While potatoes are roasting, mix small amounts of sour cream with various food colors. This is your "paint". Give each child a clean paintbrush and let them paint the cooled potatoes. Sprinkle with more salt and pepper if desired and eat! Happy Easter!